Buying the perfect gift for a baby shower can be overwhelming. Between the crib bumpers and baby monitors, there are a lot of options. The mom-to-be deserves a unique gift to get her excited for parenthood! The best way to do this is to bring a personalized, meaningful gift. 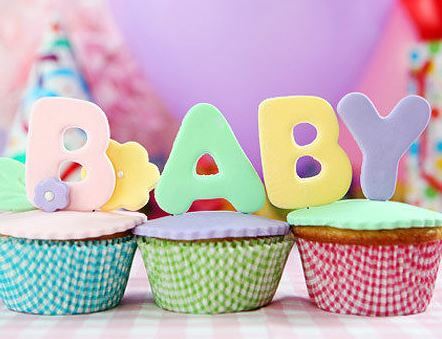 So next time you’re headed to a baby shower, remember these four original ideas for the perfect gift! A different yet meaningful gift is a set of personalized “my first” holiday bibs! These bibs can be found online through common retailers like Carter’s or on handmade craft websites like Etsy. Depending on how much you want to spend will determine where you buy. If the baby’s name is disclosed, many Etsy crafters will personalize the bibs to say “Baby Smith’s First” holiday! Many babies are showered with blankets: receiving blankets, swaddling blankets, bed time blankets, etc. A mom can never have too many! A unique but simple gift is a picture blanket. Picture blankets are sentimental, featuring a picture of the ultrasound or mom-to-be pregnant, or the future babies’ parents. You can get photo blankets cheap on various personalization websites. They make the perfect unique yet useful gift for a baby shower! Make sure you plan ahead for this gift, because it could take a while to get the blanket designed, printed, and shipped to you. Keep the delay time in mind when choosing to go with this present. Every mom loves to take pictures of her newborn! Gift the expectant mommy a set of monthly milestone stickers. The stickers usually stick right to a onesie and are easily removable. They help her keep track, through pictures, of growth progress. They are available through retailers like Babies ‘R Us or Target. Gifting these with a set of plain onesies that will fit months 1-12 is perfect and different! A great idea for a mom is a kit made up of all the essentials for the newborn and new mom stages! Using an tackle box or make-up kit, place items like diaper rash cream, droppers, baby sunscreen, thermometer, etc. inside. The boxes can be found at craft or sporting goods stores. The contents can be bought at any baby store. If you’re already a mother yourself, you can include items you used and maybe a note giving some advice to the new mother. Decorating the outside of the box/kit adds a personal touch, and the expectant mother will no doubt be grateful for your advice and expertise. Perfect baby shower gifts can be difficult to find but you’re sure to have success if you try to find presents that are a little more off the beaten path. The expectant mother is going to get dozens of baby clothes, bags, and all of the other essentials. You can be the friend who offers something different that will be both useful and memorable.